Happy Wednesday! If you follow my Facebook or Twitter feed, you know that I am all about positivity and feeling good! Nothing makes me feel better than cooking tasty food with fresh ingredients! And what’s the best way to get the freshest ingredients? Grow them yourself! 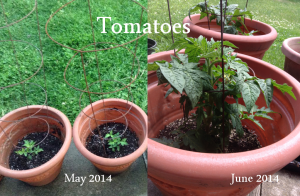 I started container gardening last spring and it brought me such unexpected joy! 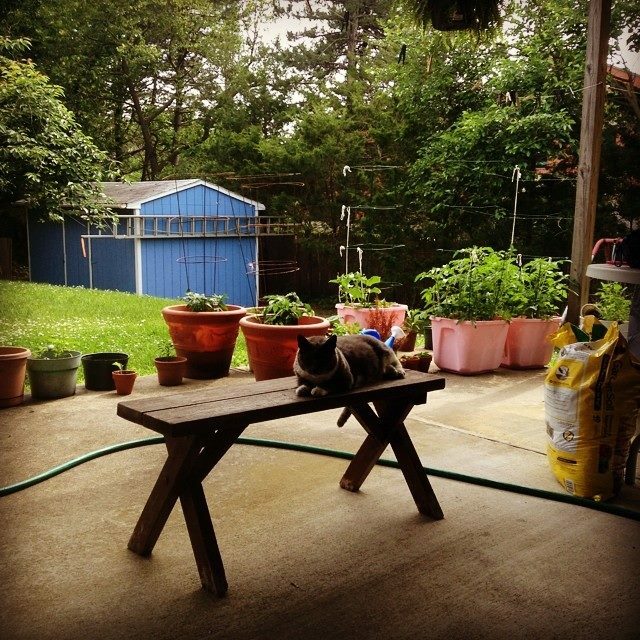 My lola and lolo (Tagalog – grandma and grandpa) always kept a garden when I was young and I was never into it. It’s for old people. It’s so stupid, just go to the store. WRONG. Well, maybe it’s a little lame but I don’t care. Also I might just be getting old. Wahhhh. Read on to see my progress so far! Last year, I bought all of my plants as seedlings and just replanted them. 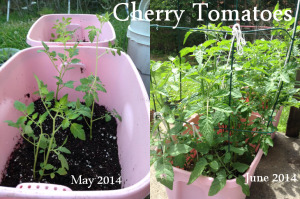 Okay, so it’s kind of cheating, but whatever – I still had fresh veggies in my backyard! This year I felt a bit more ambitious and decided to try germination from seed. I collected seeds from my plants last year and fresh vegetables from the farmer’s market, dried them, and stored them in small zip lock bags. 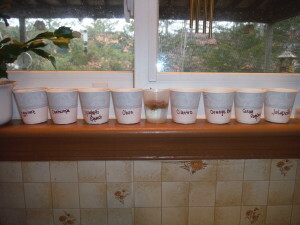 When ready to plant, I soaked the seeds for 2 days before planting. 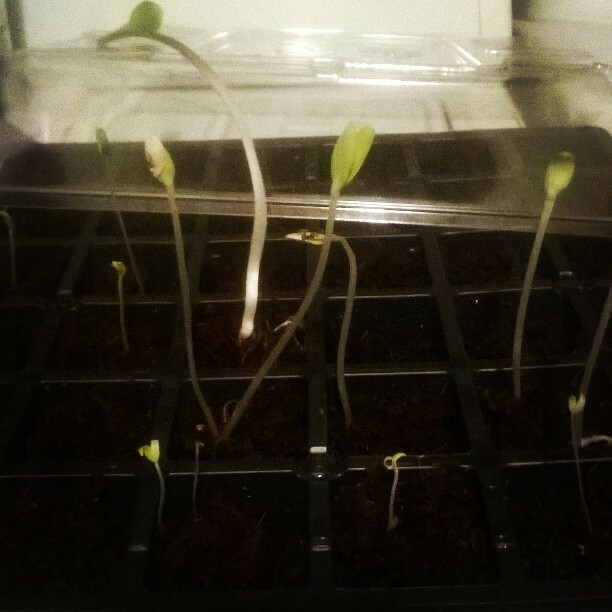 I bought a Burpee seed starting kit to get my little guys going and after about 3 weeks things started growing! I stored them in a warm, dark place and watered with a mist/spray bottle. 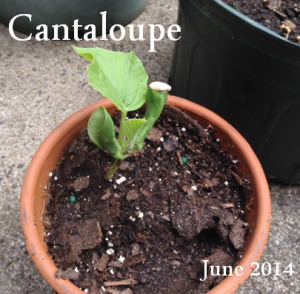 Surprisingly, my spaghetti squash and cantaloupe were first to sprout. 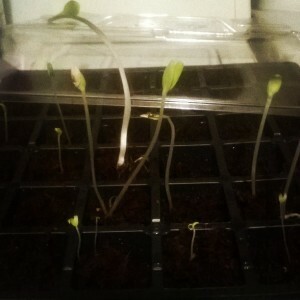 The seedlings were thin and tall and unfortunately not very hearty. 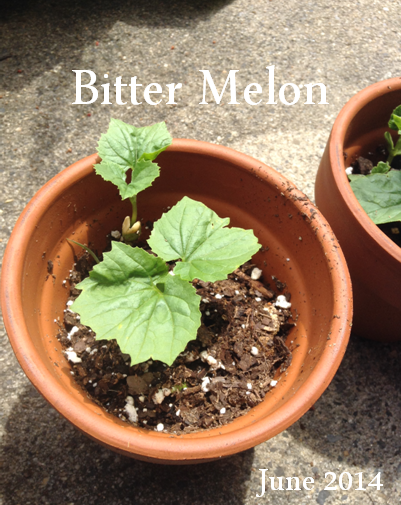 I transplanted them when the weather was consistently above 60, but they didn’t make it. 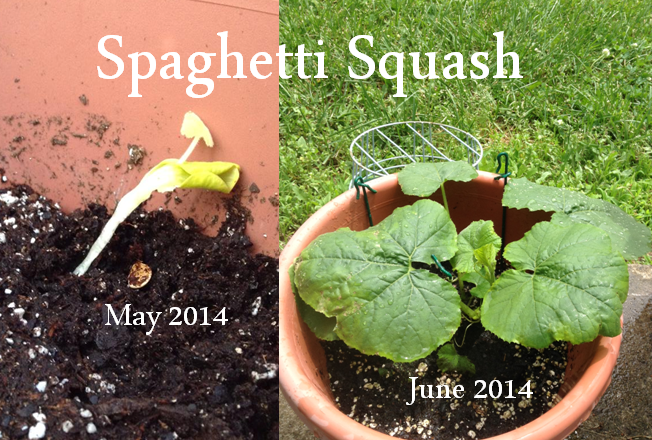 Only one spaghetti squash seed clung to life! After all was said and done, the seedlings didn’t really produce anything that lived – except for one cantaloupe, one spaghetti squash, and all four orange bell peppers! 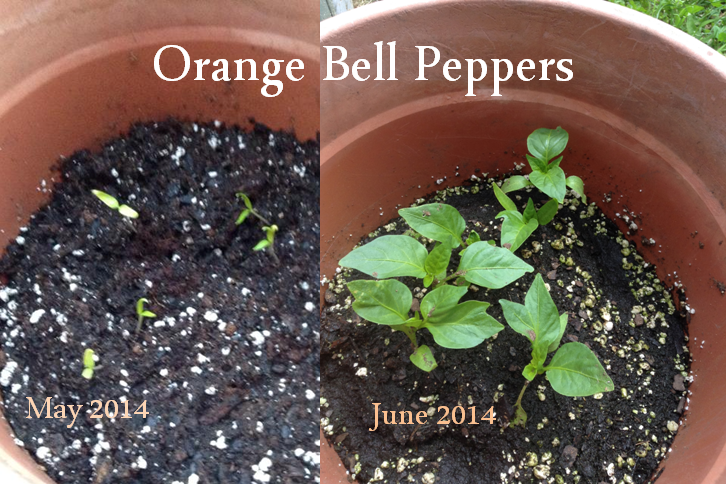 It was odd that they survived because my green and red bells never sprouted. The rest of the plants I bought from a local nursery. I planted the containers in mid-May and the growth so far has been lovely! See below for my May to June before and after photos. I’ll keep you posted as the summer progresses! These came from seeds, but I kind of cheated because my dad planted them. They just look beautiful as they sprout. In case you don’t know what a bitter melon is, see here. Yes, it has its own council. True story. I usually grow my cherry tomatoes cage-free, but this year I am testing it out. I am hoping the wire will keep it in line and allow it to grow taller. 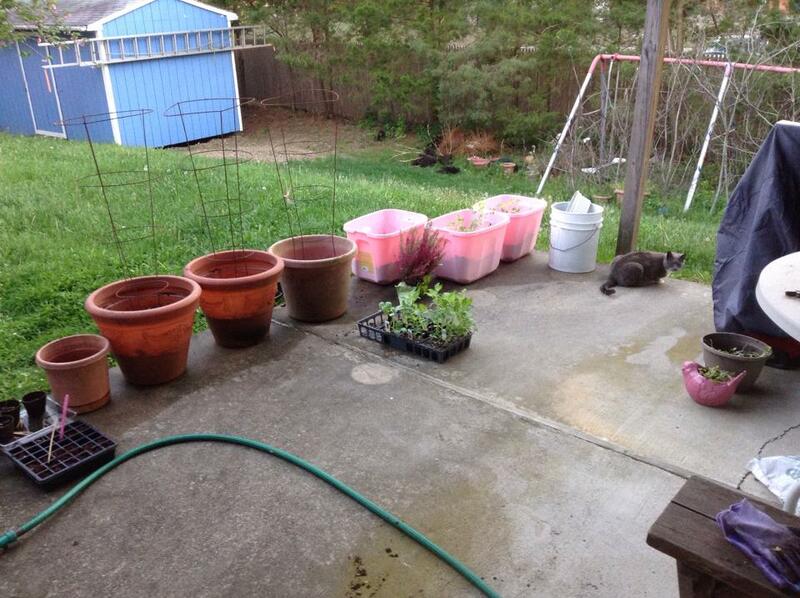 Also, I used some rope to help guide the plants upward and away from each other. Makes it easier to harvest. Cilantro is awesome and loves the early summer. Make sure to use it quickly because once it gets too hot, it shoots into seeds (coriander). Fear not, if you just let it hang out all summer, it will replant itself and grow again in the fall. Cucumbers are pretty hearty. They don’t need a lot of care, just planty (see what I did there? Punny, very punny) of space to grow and climb. I also tried to separate the plants using some string. 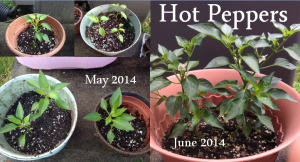 Love my hot peppers. 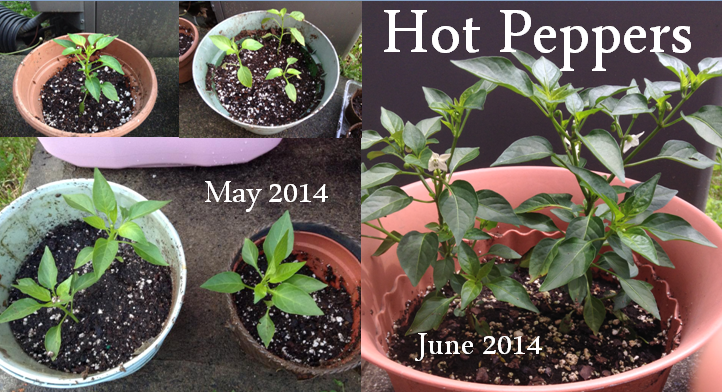 I actually have three kinds here: cherry peppers, jalapenos, and long hot peppers. It’s great to grow these because it keeps animals away. They can smell the heat and don’t mess with the other plants. Fun fact – these will product A TON of peppers over the summer and they all freeze incredibly well. These are my favorite because they all made it in the journey from seed to plant! Another proud moment 🙂 Seed to plant! And finally, nothing would be complete without the guardian of the garden! Thanks for stopping by today! Practice Aloha and have an amazing day!